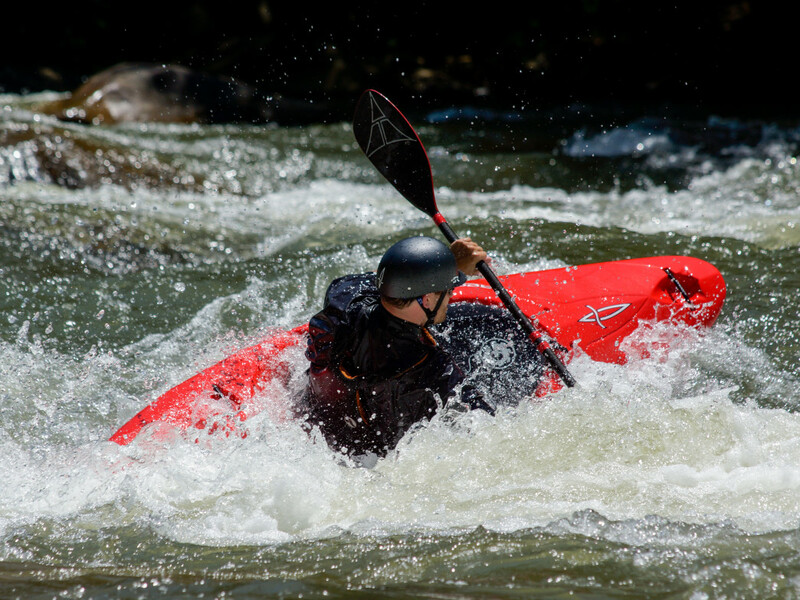 The Ocoee River is a natural playground with tremendous potential to increase paddler skill. It provides a solid step up for boaters who have outgrown the nearby Nantahala. More water and steeper gradient creates an extremely dynamic environment, and there are a lifetime’s worth of playspots, eddies, and lines to explore. Local expert and ACE Kayak School founder Jeff West says,"The Ocoee is a gorgeous river, home to some truly world-class white water paddling, and it's only an hour away from downtown Chattanooga. And the beauty is incredible." There are two separate Ocoee whitewater sections to paddle (Middle and Upper). Both of these sections are notorious for continuous and exciting class III-IV rapids. Spilling down the Ocoee River's congested stream bed, TVA's scheduled recreational water releases combine to make the Ocoee the most popular commercially rafted section of river in the US, with over 200,000 rafters putting in each year. Kayakers can brag about dodging rafts as they freestyle down the rapids, surfing several play spots (like Hellhole), long boating speed laps and attainments, and running a section of river that was used by Olympic paddlers. The Upper section is famous for having hosted the whitewater slalom in the 1996 Olympics. Challenging the Olympic section is something most skilled paddlers really look forward to! The Ocoee is dammed and controlled, therefore, has guaranteed releases five days per week, allowing paddlers to enjoy a long season from March until October. Find the Ocoee River release schedule at TVA's website. 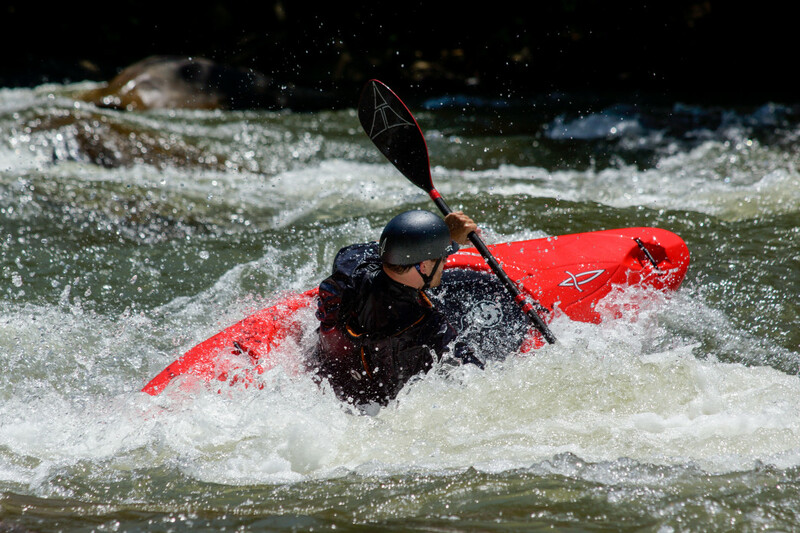 "The Ocoee's Class III-IV rapids make it a bit tougher than the Hiwassee or Nantahala, so if you're just starting out, you may want to choose one of these latter rivers instead," according to local expert, Jeff West. "If you're a little more experienced, however, you won't want to miss this 93-mile river, which meanders through the Appalachian mountains of Georgia and Tennessee. If you're an experienced kayaker living near Chattanooga, you must absolutely run this river." The Ocoee is a short 1 hour drive from Chattanooga, and only 1.5 hours from Knoxville! Highway 64 parallels the entire length of the river, making it a scenic, anticipatory drive. Parking is free at the Middle Ocoee access points, while the Upper parking lot near the Olympic Center does require a parking fee.